We offer Brass Curtin Rods in Antique & Brass Finish at very very competitive rates, Please find below the details are as under. Finish : Bronze / Brass Matt. / Nickle Matt. Keeping the diverse requirements of customers in mind, we are instrumental in providing Brass Curtain Rod. 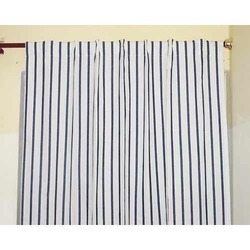 Curtain-Drapery Rods Drapery rods are an essential element, when we are talking of window dressings. If worn properly, Drapery rod adds liveliness to the window. 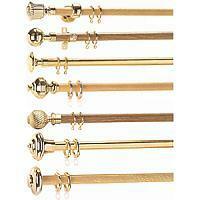 We are fulfilling continuous growing requirement of customers by providing Brass Curtain Rod. Due to our years of expertise in this realm, we are readily affianced in presenting an exceptional quality variety of Brass Curtain Rods. AMARA is a luxury expansion by VISTA that epitomizes the promise of its name. Offered in blissful crafting, antique designs & variety of finishing. Amara blends the serenity of lush interiors with a sophisticated, modern lifestyle. We have gained huge appreciation amongst our customers by providing a supreme quality gamut of Curtain Brass Rod which is designed by our vendors’ deft professionals. Innovation is our forte and we are engaged in offering a comprehensive range of Curtain Rod.